No-cost vein screenings could put a spring in your step UT Physicians is offering a no-cost, in-person vein consultation. Learn more about the event. Industry-leading program integrates mental health services into women’s centers Comprehensive mental and physical health care is the focus of a first-of-its-kind multidisciplinary collaboration at UTHealth Houston that embeds mental health professionals into UT Physicians OB-GYN clinics to streamline care. No-cost oral, head and neck cancer screenings The screenings are offered in observance of Oral, Head and Neck Cancer Awareness Week, which is April 8-15. Clinic hosts Lunar New Year celebration Embracing their diversity and celebrating the Lunar New Year, the staff at the UT Physicians clinic in the International District host event. Patient satisfaction surveys and ratings UT Physicians transitions to a model of transparency by publishing results of patient satisfaction surveys. Wear red for women’s heart health UT Physicians is participating in National Wear Red Day February 1. The campaign, which was started by the American Heart Association and the National Heart and Blood Institute in 2003, strives to raise awareness about heart disease. No-cost varicose vein screenings Jan. 26 UT Physicians is offering a no-cost, in-person vein consultation. Learn more about the event. Exercise and Nutrition Tips Staying on track is tough when it comes to New Year’s resolutions, but not impossible! Are you one of the many people making a commitment to be healthy in 2017? If so, Grant C. Fowler, M.D., a family medicine specialist with UT Physicians, has advice on how to be successful. Ease your travel worries: How compression socks can provide comfort How specialized hosiery can guard against the progression of venous disorders and make traveling more comfortable. Tips to avoid getting sick when traveling During the holiday season, many will choose to travel to celebrate with family and friends. Here are tips on staying healthy when hitting the holiday road or skies. Darling Dash 5K presented by UT Physicians opens for registration UT Physicians returns as the presenting sponsor of the Annual Darling Dash to raise awareness about sickle cell disease. Pediatric specialty clinic opens in Sugar Land UT Physicians opens a pediatric specialty clinic on the southwest side of the Greater Houston area. Beaumont clinic expands to serve community needs UT Physicians expands Beaumont clinic and adds additional services. 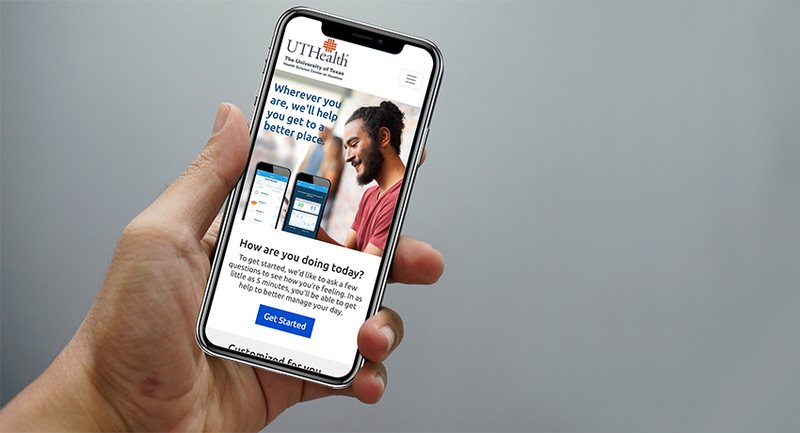 Extended hours now available at additional clinics UT Physicians offers extended clinic hours at community-based clinics across Southeast Texas. First in Houston to offer new treatment for obstructive sleep apnea UT Physicians now offers CPAP alternative for people with obstructive sleep apnea. U.S. News and World Report recognizes advanced care by UT Physicians specialists Out of nearly 5,000 hospitals in the country, U.S. News and World Report has selected UT Physicians specialists delivering services at Memorial Hermann hospital locations, as innovators and leaders in providing exceptional care in their field. Flu shot special offered by UT Physicians Looking to avoid the flu this season? A vaccine is the right approach to reducing your risk –or at least limiting how ill the virus can make you feel. Starting the school year off with an A+ in health UT Physicians experts offer ways to stay healthy the whole school year. Learn more about special offers at clinics across Greater Houston. Rep. Gene Green’s 23rd Annual Immunization Day success at UT Physicians – Jensen UT Physicians teamed up with Congressman Gene Green for a local community event to inspire healthy living.